The importance of Biomechanics - why is it so important? You may not be aware of the importance of Biomechanics but it affects us all. Many of us will suffer with mechanical pain or injury in our lower limbs or back. However, what we aren’t always aware of is that our foot posture and function may well be the underlying cause of this. This is due to the importance of Biomechanics and where it can play a hugely important role. Biomechanics is a thorough assessment of the structure, alignment and function of your lower limb to determine if any adjustments are required to improve your gait and reduce loading of the painful areas. Specially prescribed inserts / orthotics for the shoe are often required to alter the way your feet interact with the ground and support the foot in the correct position during any movement. 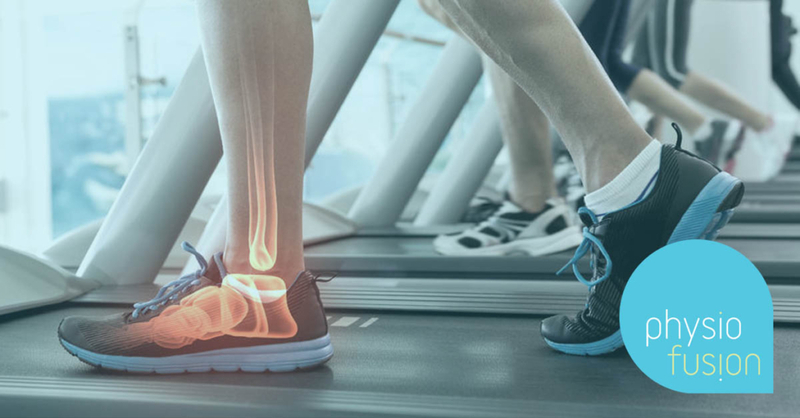 Orthotics are often prescribed in combination with an exercise programme and advice on exercises, stretches and optimal footwear for the foot-type and injury you are suffering with. It is estimated that the distance we travel on our feet every ten years is equivalent to the Earth’s circumference. So, the 26 bones and 33 joints that make up each foot take a pounding over the course of a lifetime. And given that between one and two times a person’s entire body weight is absorbed to as much as three-and-a-half times when running, it is hardly surprising they are susceptible to injury. For instance, collapsed foot arches – also known as flat feet – which can be inherited or brought on by weakening of the muscles in the feet through sustained strain caused by wearing high heels, ageing and weight gain, are a common cause for knee pain. The condition can cause the heel to turn outwards at the ankle and it’s this misalignment that can result in painful grinding of the knee. During a Biomechanical assessment we are able to track even further up the body, to lower back pain caused by the feet. Biomechanics is the tool that understands human movement and has also become hugely popular amongst sports athletes as it is used to enhance athletic performance and prevent injury, too. You will find two main objectives in any field of sport at any level – either to improve performance or to make adjustments to technique in order to reduce the risk of injury. Most musculoskeletal injuries are mechanically caused and can be avoided. If we are able to understand the mechanisms behind an injury, we are then able to prevent it. Perhaps one of the best known examples of biomechanics improving performance is the British world record triple jumper Jonathan Edwards. Edwards refined his technique by using biomechanical analysis. His coach used biomechanics to calculate that a longer take-off, coupled with raising the torso, holding the hop and step phases and controlling the pumping of the arms, would produce a longer jump. The following year, Edwards improved his own personal best by half a metre and smashed the world record at the World Championships, a record that still stands! This was to be a catalyst for biomechanics to be used at a professional level. Whether you are a sports enthusiast or not, good Biomechanics can keep you healthier and active for longer. Therefore, the importance of Biomechanics should be high on our list of priorities. Unsure if you need orthotics? If you are experiencing any pain in your lower limbs and back and are unsure of the cause, you may need a Biomechanical assessment. For more information or if you would like to book an appointment with us, contact us on 01282 453 110. Alternatively, you can use our FREE online service and ask our Podiatry and Biomechanics experts for advice on your symptoms before you make any decisions.